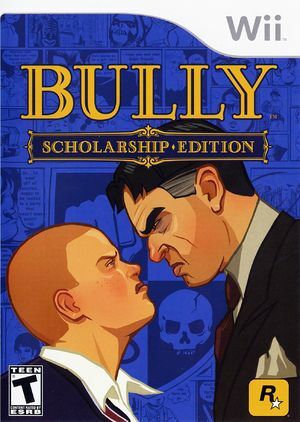 Bully: Scholarship Edition takes place in the fictional New England boarding school, Bullworth Academy and tells the story of the mischievous 15-year-old Jimmy Hopkins as he goes through the hilarity and awkwardness of adolescence. Beat the jocks at dodge ball, prank the preppies, save the nerds, kiss the girl and ultimately navigate the social hierarchy of the worst school around. The Wii Remote warning at the start of the game may be extremely slow with emulated FPS/VPS desync. This is corrected once the actual game starts. With emulated Wii Remotes, the game will hang at startup (unless speedup disc transfer rate is used.) To avoid this, either start the game with no Wii Remotes connected or use Real Wii Remotes. Forcing texture filtering or Anisotropic Filtering will result in video corruptions. Disable Force Texture Filtering and use Anisotropic Filtering 1x to resolve this. These options only effect videos and can be applied during gameplay. The graph below charts the compatibility with Bully: Scholarship Edition since Dolphin's 2.0 release, listing revisions only where a compatibility change occurred. 3.0-751 Windows 7 Intel Core i5-2500K @ 4.5GHz NVIDIA GeForce GTX 570 Unable to use real Wii Remote at all, game says communications interrupted after a while. game is fairly playable, some audio loops/glitches with HLE so use LLE, and random visual bugs (e.g. when going in the girls toilets the picture inverts and you can't see where you are (have to use minimap to navigate)), but overall you should be able to play the game OK.
4.0-9146 Windows 10 Intel Core i7 @ 2.6GHz Intel HD Graphics 4600 Broken, even with disabling "Store EFB copy to texture" getting a constant 200-300+ fps on start of game even though framerate limit is set at 100%, and game hangs at wii remote intro logo. This page was last edited on 12 January 2017, at 14:15.